When I received my TS-E 90 lens, the shipped condition is to have the tilt and shift axes at 90 degrees to each other, this can be changed. I’ve described using the 90mm and 24mm elsewhere. 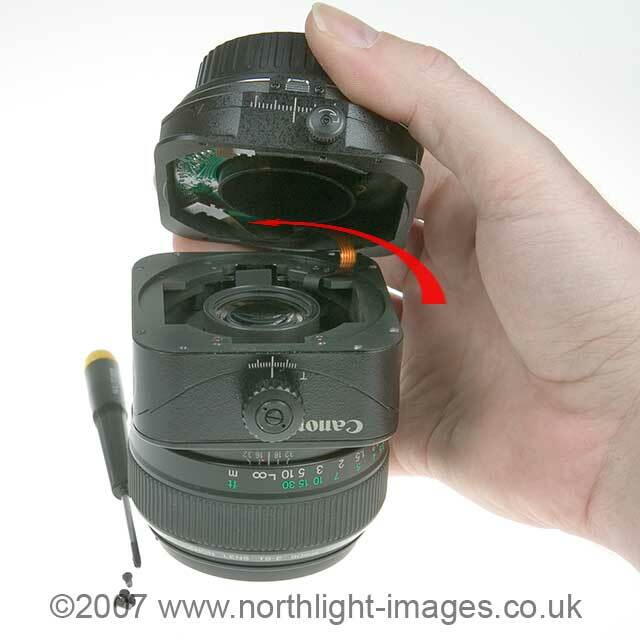 This short note covers the simple procedure for modifying your lens. It applies to the mk1 version of the 24mm and I believe, the 45mm as well. 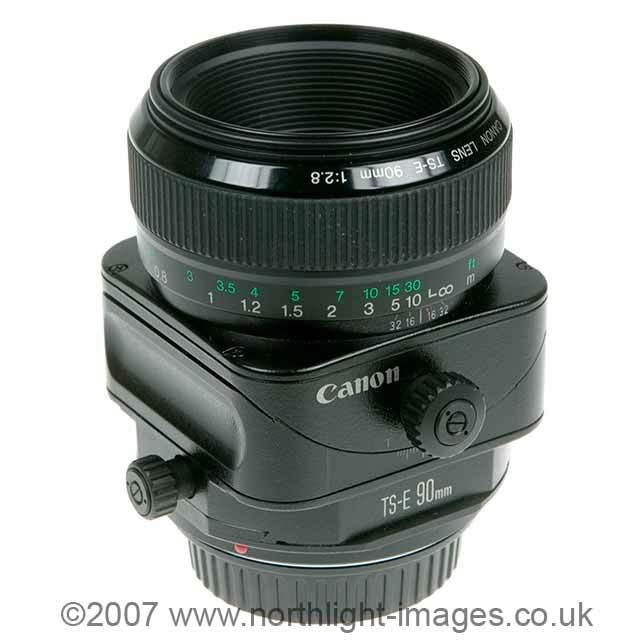 Canon originally made three EF mount tilt and shift lenses. The new 17mm and 24mm versions do not need this adjustment, since it now just requires a twist of the lens. I use the 24mm extensively for interior photography where the shift function allows for perspective correction. Here is an example that shows the benefit of tilt. It’s shot at f/2.8 to get a shallow depth of field, but as you can see, not much of the front of the lens is in focus. If you mouse over the image you can see the effect of 5 degrees of tilt. There is a slight shift in composition which I’ve allowed for, but shows up as a slight change in the gradation of the background. 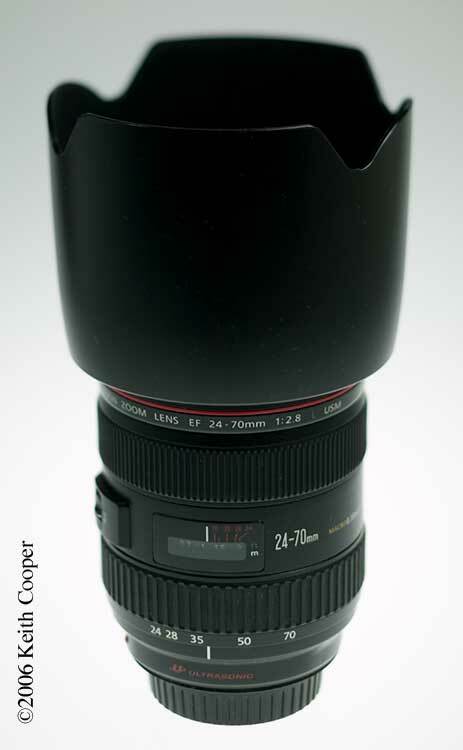 Canon 24-70 2.8L lens taken with TS-E90 at f/2.8 with and without tilt. The tilt brings the whole front of the lens into focus, but note the change to the far side of the lens hood. Tilt doesn’t give you more depth of field, just moves it about. It’s this shift of the image that led me to want to change the tilt and shift of the lens to the same axis. I found myself wanting to shift the lens and not being able to. 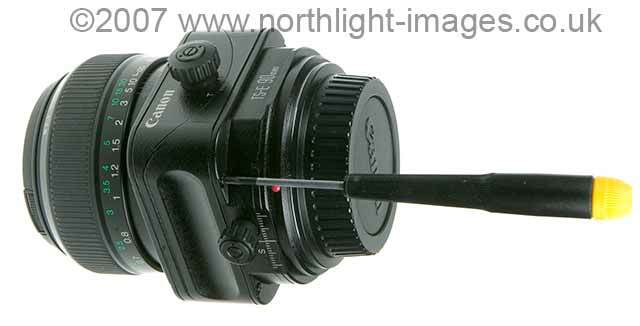 There are four small crosshead screws holding the mount and shift plate (and mount) to the rest of the lens. Note -The procedure shown is for the 90mm. The 24mm and 45mm have a different design of tilt unit, but the shift plate fits in the same manner. Make sure you use a good quality screwdriver of the right size. 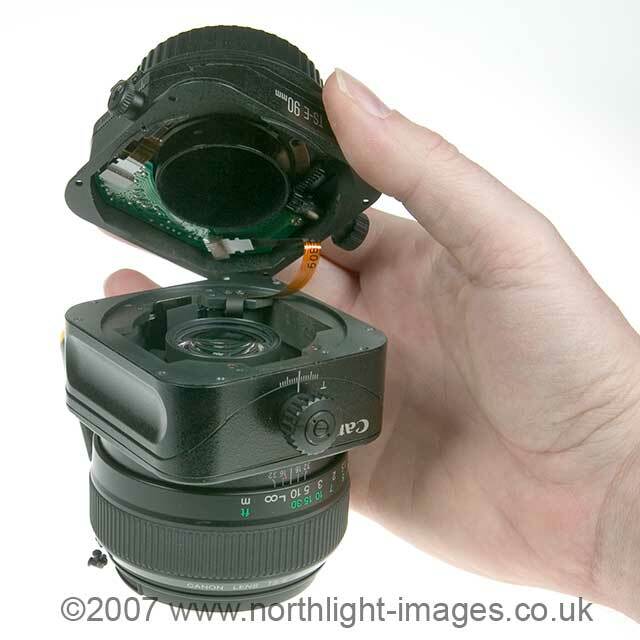 The screws may be a tight fit if they have not been removed since the lens was made. The screwdriver should fit very crisply into the screw head. Tighten the tilt and shift locks before undoing the screws and be careful getting that first bit of movement from the screws. Here I’ve removed the screws and lifted the shift plate/mount. You can see the rack and pinion that controls shift (inside – just below my thumb). You don’t move anything connected with the optics of the lens at all – all the lens elements are in the bottom bit. Rotate the plate by 90 degrees counter-clockwise. Pay particular attention to that thin cable. Note that if you look carefully, you can see that there are 8 screw holes in the main lens body, this means that when you replace the screws, they are going into unused threads on the body, so be careful when inserting the screws. Here is the tilt shift lens after the modification procedure. Note that the main adjustment knobs are now on opposite sides. The smaller one in the picture above is for locking the shift, the main shift adjustment is at the back in this picture. If you don’t like the new arrangement, then make sure you do the reverse movement of the shift plate/mount (clockwise), since you don’t want to strain that little flat orange cable. I’ve seen dire warnings about doing the modification yourself, but as long as you take care to get a good quality screwdriver of the right size, and have a modicum of dexterity, it’s no big deal. I’ve had the lens shifted round since not long after I got it, and have not found the need to change it back. 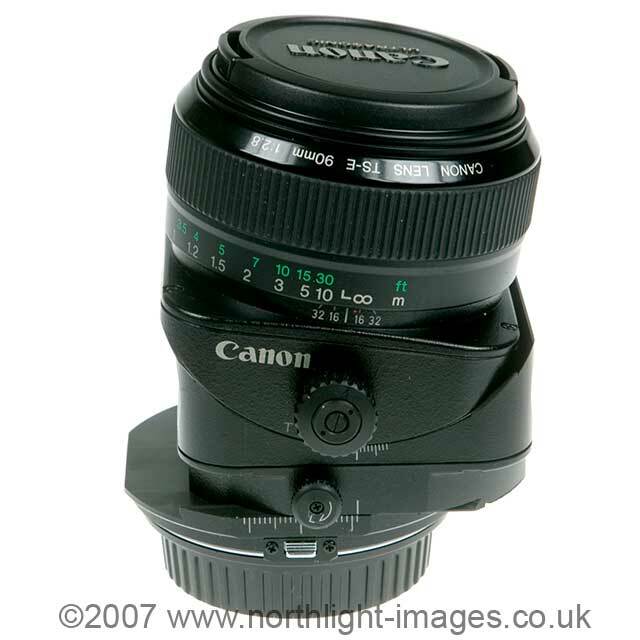 Equally well, I’ve not found the need to modify my 24mm TS-E lens at all, so it is still at the original setting. 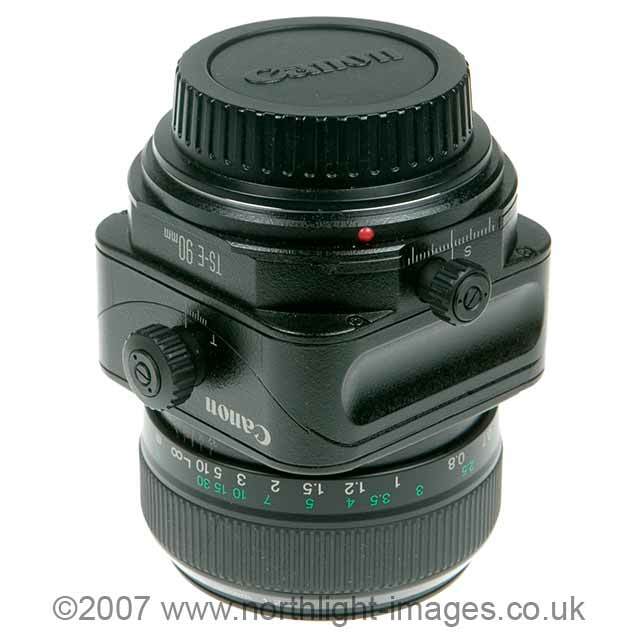 Nikon tilt/shift lenses can be modified to change the two axes of movement in the same way as the Canon TS-E. Unfortunately this is not a DIY operation for the latest versions. Setting up tilt – a guide to setting tilt on lenses. Nikon PC-E Nikkor 24mm f/3.5D ED The latest Nikon Perspective control lens. All articles and reviews are listed on our main Articles and Reviews page, or use the search box at the top of any page. Experimental items, hacks and how-to articles are all listed in the Photo-hacks category.